Another set of seats came loose on an American Airlines flight today, the second such incident in three days on one of the carrier's flights. There was a similar incident of seats becoming loose, resulting in an emergency landing, over the weekend. The latest incident took place on flight 443 from New York's John F. Kennedy Airport to Miami. The plane returned to JFK without incident when the seats were discovered, the Federal Aviation Administration said in a statement. An airline spokesperson said the airline does not believe either incident is related to American's ongoing labor issues. The earlier incident took place Saturday night when seats came unbolted on American Airlines Flight 685 from Boston to Miami. The flight was diverted and made an emergency landing at JFK. The passengers in those seats were moved to other seats on the plane. No one was injured and the aircraft landed safely at JFK. The passengers were delayed three hours before being put on another flight to Miami. As a result of the two incidents, the carrier has taken a total of eight aircraft out of service until they can be inspected. The Federal Aviation Administration said in a statement it is looking into both incidents and said both Boeing 757 jetliners have been taken out of service. The FAA said that the airline's initial inspection of each aircraft found other rows of seats that were not properly secured. "Preliminary information indicates that both aircraft had recently undergone maintenance during which the seats had been removed and re-installed. Including these two airplanes, the airline has taken eight aircraft with similar seat assemblies out of service until they can be inspected," the FAA statement read. The FAA has stepped up scrutiny of American during its bankruptcy, as it has in the past for other carriers in similar situations. AMR Corp., American Airlines' parent company, filed for Chapter 11 bankruptcy Nov. 29, 2011. American Airlines spokeswoman Andrea Huguley said in a statement the airline is conducting an internal investigation and that there could possibly be an issue with a certain model of seats and how they fit into the tracking used to secure the seats. "Out of an abundance of caution, American has decided to proactively reinspect eight 757s today that could possibly have this same issue. The seats were installed by American maintenance and contract maintenance. The issue does not seem to be tied to any one maintenance facility or one workgroup. "This afternoon, the company flew engineers, tech crew chiefs, and inspectors from its Tulsa maintenance base to New York to evaluate the aircraft and determine the next course of action to correct the problem. "We are in contact with the FAA. They are aware of our internal review." This is the latest in a string of recent problems for American Airlines. Maintenance and employee issues have led to significant delays and cancellations in recent weeks. ABC News reported last month that the airline was forced to delay nearly 40 percent of its flights, with most forced to be late or even cancelled by an "unprecedented and very significant" increase in maintenance issues. 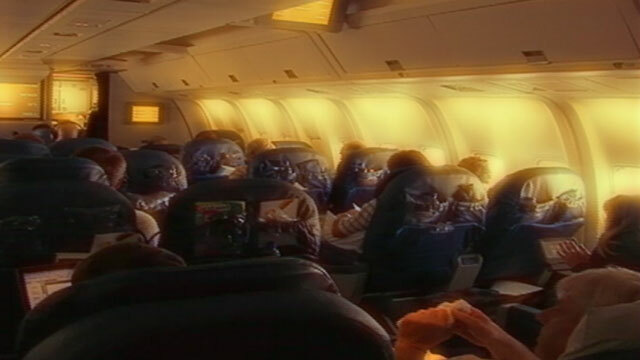 The airline blamed the pilots, who it claimed were calling out sick 20 percent more than normal. "The recent disruptions are primarily due to the significant increase in maintenance write-ups by our pilots, many right at the time of departure," the airline said in a statement last month. The pilots union said there is no sanctioned work action under way and disagreed with American's accounting of sick leave and crew cancellations. A fight last month between two flight attendants over a cell phone forced a plane to turn back to the gate at JFK and delayed passengers four hours while the airline found a new crew. The trouble at the airline has prompted at least one airline industry expert to advise passengers to book away from the airline for the time being. Wall Street Journal travel editor Scott McCartney warned passengers, "My advice is, until things get straightened out with the operations, if you have a choice, you ought to book another airline. It's just not worth it."